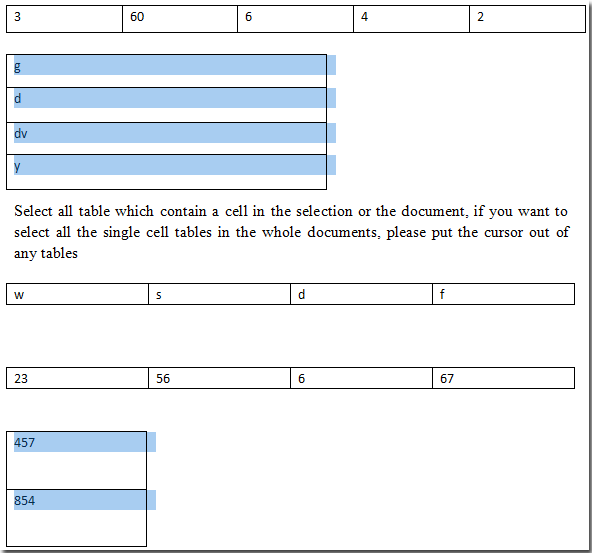 It is troublesome that select all single column tables from a document which includes various kinds of tables, but with the utility Select Single Column Tables in Kutools for Word, it’s much easier for you. 1. Please put the cursor out of any tables, and then apply the utility by clicking Kutools > Tables > Select Single Column Tables. 2. 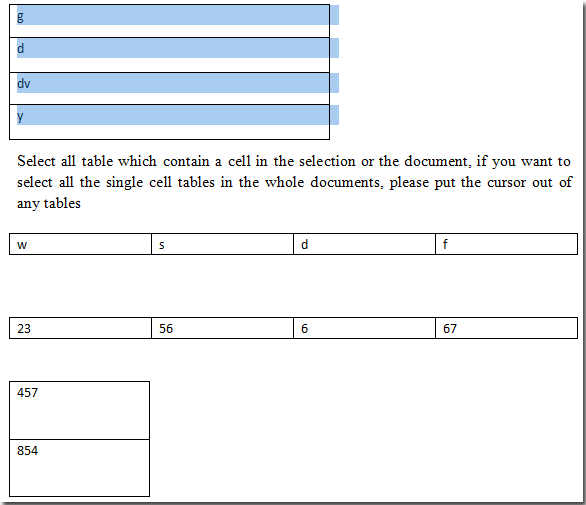 It will select all the single column tables from the whole document. See the following screenshots. 1. 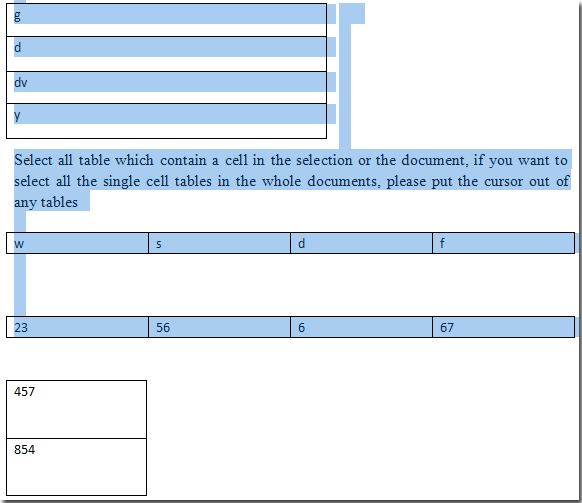 Please highlight and select a part of document, and then apply the utility by clicking Kutools > Tables > Select Single Column Tables. 2. 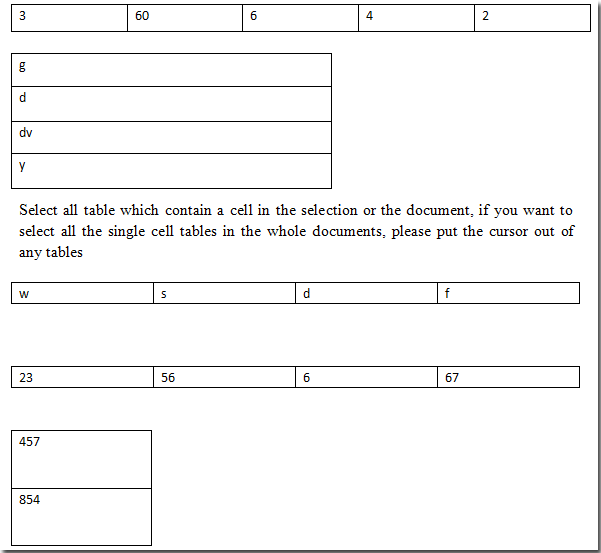 It will select all the single column tables from the selection of document. See the following screenshots.